Some people spend their lives accomplishing great things so that when they die they're never forgotten. But the rest of us now have a more couch potato-compatible solution. 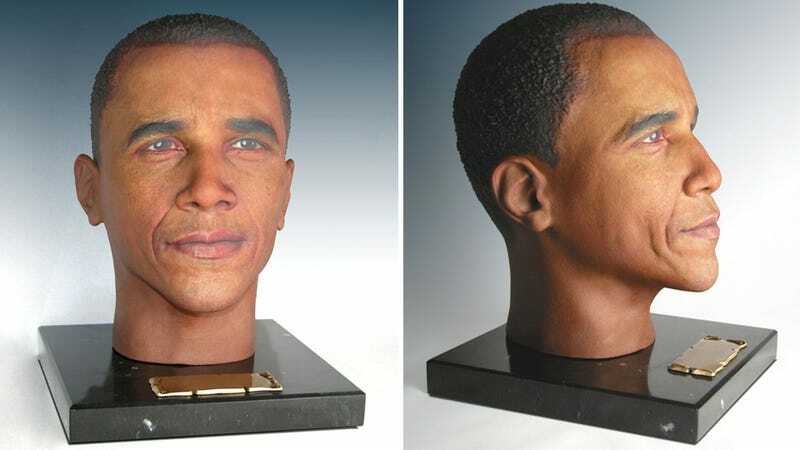 A company called Cremation Solutions will create an urn that looks like your severed head, so your family and friends will never forget you as long as it's prominently displayed after your passing. And it doesn't require a mould of your head to be created, or even a laser scan of your noggin. The company promises to create the urn using just a single photo of the deceased. But if you can provide photos from additional angles, it will help the final product to more closely resemble you.